Caraway seeds are native to Western Asia, Europe, and North Africa. Caraway seeds are the seeds obtained from the caraway plants. Caraway plants are actually a member of the carrot family, related also to coriander and cumin. Caraway seeds feature a warm, sweet, and slightly peppery aroma when squeezed between the index and thumb fingers. 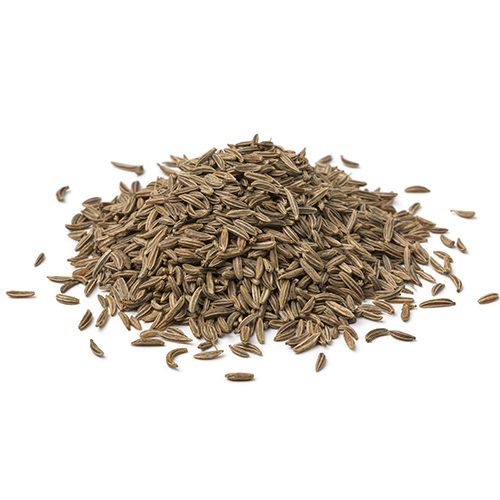 Caraway seeds are highly aromatic and have a distinctive earthy anise flavor. They are used extensively in European and Mediterranean cooking. Caraway seeds are mostly added in cooking as a condiment and flavoring base. It features in savory dishes, including cabbage soups, sauerkraut, and salads. Caraway gives a pleasant aroma to bread, cakes, biscuits, and cheeses. In France, the seeds are offered in a saucer to sprinkle over muenster cheese before eating. Also, along with other spicy items, they are being used to season sausage and other meat preparations. In Central Europe, caraway-seasoned sausages (kielbasa) are a staple dish. Rye bread just wouldn’t be the same without caraway, neither would soda bread. Remember that they pack a lot of punch for such tiny little seeds which is why most recipes only use a teaspoon or less. ay plant to 8-12 inches apart. In colder climates, mulch the roots of the plant heavily with straw or organic mulch, which will add nutrients to the soil. Caraway is harvested during the early morning hours of the day to avoid spilling and wastage of its seeds in the field. They are then stacked in bundles and left to dry under sunlight. The seeds are extracted by threshing, either manually or using machines.